For starters, as a bride, you should aim to look like the absolute best version of yourself on your wedding day. And aside from your beaming smile and bridal glow, your dress will be front and center. We all have different body types, which is why it's so important to begin the wedding dress shopping process by understanding the different gown silhouettes — and for which body types they work best. Here’s a quick and easy guide to break down the various wedding gown silhouettes! A-Line Wedding Dresses: Fitted bodice through the waist and flows out to the ground, with an unbroken line (resembling the outline of an uppercase A). Ideal for all body types. If you carry your weight in the middle, this silhouette is a nice choice. Ballgown Wedding Dresses: The "fairy tale" dress, with a fitted bodice, flairs at the waist with a full skirt.Ideal for most body types but looks great on pears, since it hides the lower body. Ball gowns can be long-sleeved, sleeveless or anywhere in between. 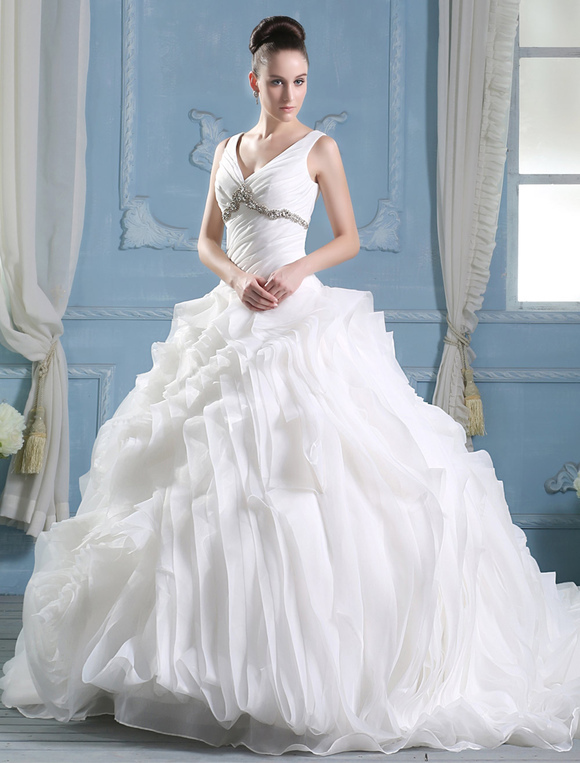 The full skirt of a ball gown can hide large hips and thighs. Mermaid Wedding Dresses: Fitted on the body from the chest to the knee, then flares out close to the knee. Ideal for slender frames and hourglass body types who are willing to show off their curves. This is the sexiest of the styles. If you're confident in your body, a mermaid dress can show off your curves. 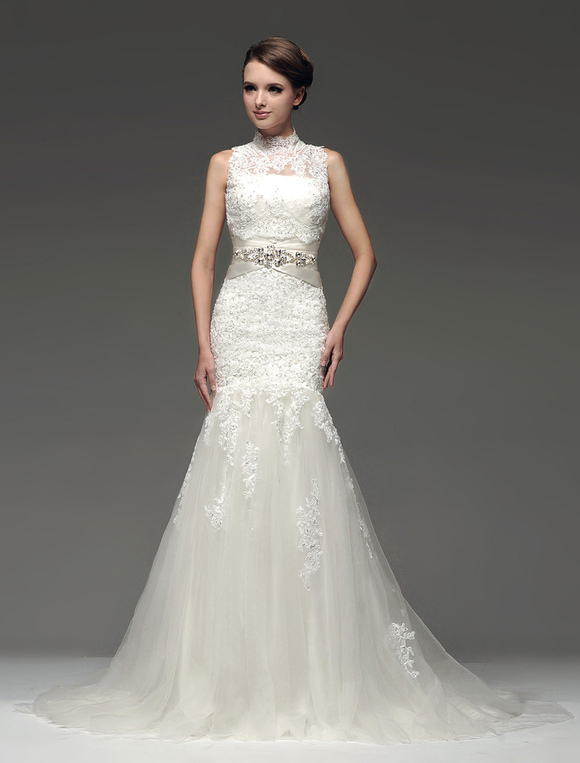 Sheath Wedding Dresses: Fits very closely to the contours of the body. Has a straight skirt with no waist. Ideal for lean frames, such as petites and bananas. Also good on hourglasses who are willing to show off their curves. The long lines of a sheath gown can elongate the look of your body. 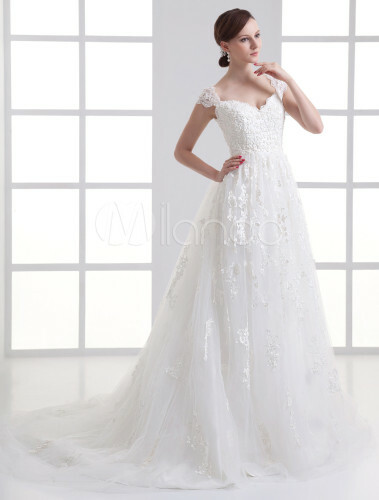 Therefore this type of dress can work well for short brides. Rosanna explains how to find the best dress silhouette for your body type. Not sure which wedding dress silhouette is right for your body? Watch David Tutera's silhouette guide on how to choose the right wedding dress for your body type.